In simple terms, epics are user requirements that the Scrum team has to deliver. What are Epics? User Stories may have to be written constantly throughout the duration of the project. In the initial stages of writing, most User Stories are high-level functionalities. These User Stories are known as Epic(s). Epic(s) are usually too large for teams to complete in a single Sprint. Therefore, they are broken down into smaller User Stories. In the Scrum Methodology, User Group Meetings involve relevant stakeholders, (primarily users or customers of the product), and provide the Scrum Core Team with firsthand information about the expectations of the users. 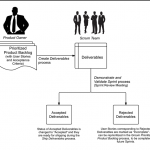 This helps in formulating the Acceptance Criteria for the product, and provides valuable insights for developing Epics. User Group Meetings are vital in the prevention of expensive rework, which may result from lack of clarity regarding expectations and requirements. These meetings also promote buy-in for the project, and create a common understanding among the Scrum Core Team and relevant Stakeholder(s). Epics are written in the initial stages of the project, when most User Stories are high level functionalities or product descriptions, and requirements are broadly defined. They are large, unrefined User Stories in the Prioritized Product Backlog. Once these Epics come up in the Prioritized Product Backlog for completion in an upcoming Sprint, they are then broken down into smaller, more granular User Stories. These smaller User Stories are generally simple, short, and easy to implement functionalities or blocks of tasks to be completed in a Sprint. When creating Epics, new risks may be identified and such Identified Risks form an important output of this stage. These risks contribute to the development of the Prioritized Product Backlog (which could also be referred to as the Risk Adjusted Product Backlog). The Scrum Team members should attempt to identify all risks that could potentially impact the project. Only by looking at the project from different perspectives, using a variety of techniques, can they do this job thoroughly. 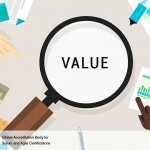 Risk Identification is done throughout the project and Identified Risks become inputs to several Scrum processes including Create Prioritized Product Backlog, Groom Prioritized Product Backlog, and Demonstrate and Validate Sprint. How to focus on value creation?